The Dark War is over. 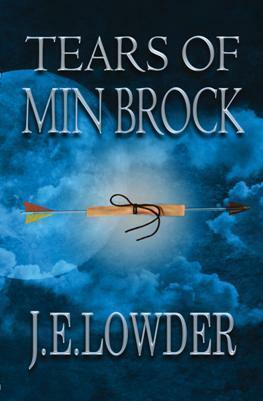 Betrayal, defeat and death forever accompany any mention of the battlefield known as Min Brock. The shining kingdom of Claire is no more. Any hint of rebellion is supressed by the constant drone that echoes throughout the land. The Oracles of the Council of Ebon, the dark lords who feed the perpetual flames of the Cauldron, forbid even mentioning the name of the Only, the King of Claire, on pain of death. Yet in the night… a whisper comes to Elabea, a girl of 14 summers, who hears and dares to believe there might be more to life than the drone. Accompanied by her lifelong friend, Galadin, Elabea embarks on a dangerous journey to become one of the most powerful creatures in the land – a storyteller. Along the way she must learn to discern the true whisper of Claire from the counterfeit whisper of Ebon. One might lead her to restore light and life to a world ruled by darkness. The other leads to certain death. The War of Whispers has begun. The world is a dark place filled with a drone from the Cauldron. No one is to look into what happened at Min Brock or the Dark War. But Elabea hears a whisper that is different from the drone. Wanting to be a storyteller, Elabea wants to learn more about the whisper, especially since it is coming from Claire, a land destroyed during the Dark War. Elabea and her friend Galadin follow the whisper and hope to bring life to the world. You will also meet Lassiter, a boy that also hears the whisper. He is traveling with Newcomb and DeMorley, the minstrel. Will they be able to bring light to this darkened world? Elabea is a 14 year old girl that is willing to go against the law to bring life back to the dark that has become the world. I really liked how important and powerful the storytellers were. As with every quest, we meet new characters and we face tough trials along the way to Claire. But what I really like were the characters were very realistic. They all had a fault of some sort and they clearly grow along their path. This is an amazing story. It drew me in following Elabea go against all rules to stop the drone. This is the first book in a series. I can’t wait to read the next book. I also feel really bad that it has taken me this long to get the review written. Sorry about that. To purchase Tears of Min Brock make sure to visit Amazon, Barnes and Noble, Goodreads, and J.E. Lowder’s website. I received Tears of Min Brock for free from WordCrafts Press in exchange for an honest review.